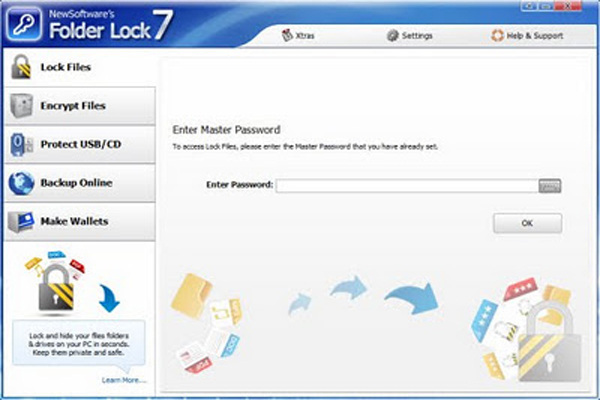 Folder Lock: is a full suite solution for all your data security needs. It lets you keep your personal files protected in a variety of ways, in both PC and portable drives and offers optional backup of protected files to an online storage. Snoopers can’t find or access the files you hide using Folder Lock, even in DOS or under other operating systems. This application provides two levels of protection: you can merely lock files and folders, or you can encrypt them using the 256-bit Blowfish algorithm. When you boot up the program, it’ll ask you for a master password. Hitting the Browse link locates and lock folders anywhere on your computer, or you can simply secure them via the context menu. Encrypt Files:Encrypt your personal files using 256-bit on-the-fly encryption technology totally dynamic and fool-proof. Protect USB / CD: Convert your encrypted storages into executables and take your portable drives anywhere. Make Wallets: Store sensitive information in encrypted form. A safe haven for private info like Credit Cards and Bank Accounts. Run Application in complete Stealth. Don’t let anyone know you ever installed Folder Lock on your PC. Password Security: Restrict access to various parts of the application with use of admin level master password. Auto Protection: Set inactivity based security policy in order to secure everything when you’re away from your PC. Hack Security: Don’t let hackers use dictionary attacks. Monitor, control and perform actions on incorrect password attempts. Shred Files: Shred and permanently delete restorable files, folders and drives and even empty hard drive space. 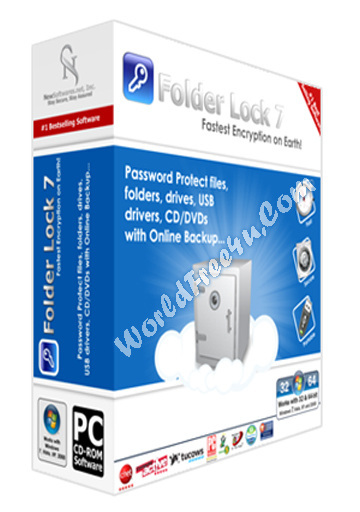 Lock Files: Protect important files from unwanted access by blocking visibility or access to files, folders and drives. Backup Online: Backup all your encrypted files automatically to an online storage and easily restore it back.